The perfect tool for teaching CPR? After the game system itself has proved to be useful in physical therapy the Wii Remote is also enjoying status as a standalone medical aid. 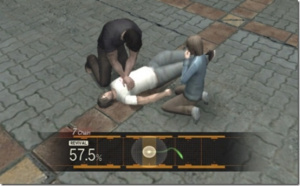 In this case it is the active component in a CPR training tool dubbed Wii CPR by the students who created it as part of the completion of a course in biomedical engineering at the University of Alabama at Birmingham. "We began talking about the possibility of using the Nintendo Wii to teach CPR last January, and that is when we initially contacted the American Heart Association about the idea." "The Heart Association wanted a better sense of how it might work, so we assigned the research to our senior year biomedical engineering students this past spring semester for their senior project." After the team successfully presented the prototype in class, the AHA agreed to fund the development of the project into a freely downloadable computer program to be hosted on the AHA website, to the tune of US$50,000. The download will be available for use by anyone wanting to learn CPR and will include the source code. The obvious inspiration for the project in action! Based upon photographs the program runs on a laptop which is then linked to a Wii Remote using Bluetooth. 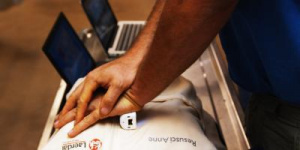 The Remote is then placed upon a test dummy and user compression actions are measured by the software via data from the Remote's accelerometers. The software would presumably include an instruction component and using this data be able to provide feedback measuring how well the user executes the lesson presented. 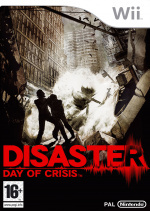 It seems pretty obvious that the professors were inspired by Nintendo's own Disaster Day of Crisis which features multiple CPR events in saving the lives of virtual disaster victims. Clearly Nintendo of America should join NoE and NoJ in releasing this game for the public good! I'll go ahead and say it for everyone: What the hell?!?!?!?! High-five, Alabama actually made it into a headline here. I'll expect another right about the time when hell freezes over. LOL! I used to live in Alabama, so this is particularly funny for me. That is really weird. But cool. ROLL TIDE!!!!! All I got to say. We goin to be No 1 again this year. The thing is, if they teach people how to do CPR with a remote control in their hand, won't they have problems doing it without one? The Wii Remote can also be... a hat! This certainly was unexpected. Wii remotes teaching CPR. Now I've seen everything. "Clearly Nintendo of America should join NoE and NoJ in releasing this game for the public good!" Clearly. Although NoA is not known for always thinking clearly.